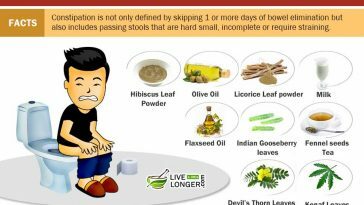 Before looking at the home remedies for diarrhea, let’s look at the symptoms and causes of diarrhea. Diarrhea is one of the commonest conditions that affect millions globally. So, the question is how will you know if you have diarrhea? Well, if you have been passing motion more than thrice a day in a streak and if your motion is loose or semi-liquid, then understand that you are suffering from diarrhea. Diarrhea can occur to anyone without being specific to age or gender. Breastfed babies can pass the motion in semi-liquid form, and it is normal during the diarrhea episode. 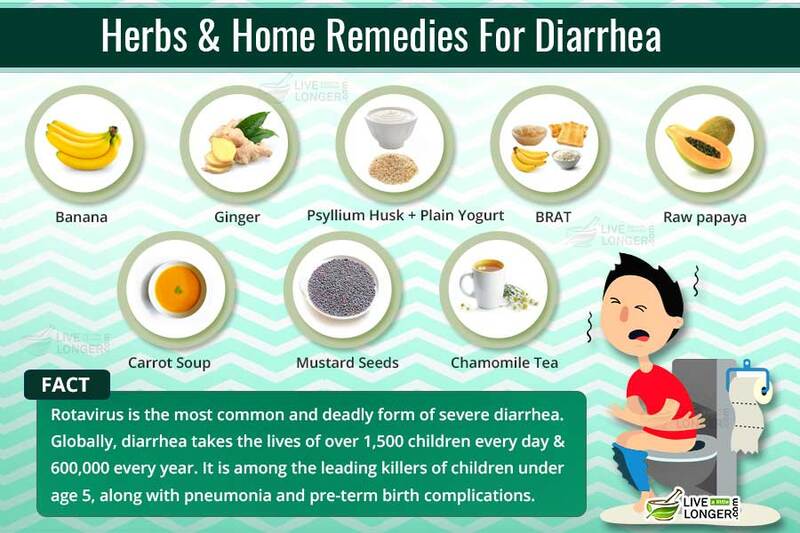 However, there are some amazing home remedies for diarrhea that can help. Before we list them to you, it is important for you to know a few things. This condition occurs when there is an ionic charge imbalance in the lumen. It causes active secretion with no absorption. Hence, as a remedy, sodium is administered to lace the water with salt supplements. Cholera toxin is another common reason for Secretory Diarrhea. The fluid secretion also occurs when there is no intake of food. When a lot of water is brought into the bowels for excretion, it is known as Osmotic diarrhea. If you drink fluids that are rich in salt or sugar, you would be exposed to the risk of osmotic diarrhea. If you have digested partially cooked food, it can contribute to Osmotic diarrhea. When you experience this condition, the nutrients in the lumen pull the fluids and store them to be released as waste. The chances of acquiring Osmotic digestion are more when there is an excess accumulation of undigested lactose, magnesium or vitamin C.
If you have been suffering from Crohn’s disease, ulcerative colitis or infections like E.coli, it is common to spot blood and pus in the stool. Exudative diarrhea is specific to Inflammatory Bowel Disease (IBD) and symptomatic to food poisoning. You will experience a passive loss of protein-rich fluid when you have inflammatory diarrhea. It is caused when there is damage to the mucosal lining. 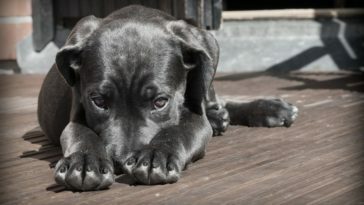 The traits of other types of diarrheas can be found in inflammatory diarrhea. The common causes are bacterial infections, viral infections, parasitic, and autoimmune issues. Diarrhea is caused by enteritis, colon cancer, and tuberculosis. Inflammatory Bowel Disease: The classifications of this disease are ulcerative colitis and Crohn’s disease. Irritable Bowel Syndrome: Often mistaken for Immune Bowel Disease (IBD), the symptoms continue to stand apart from the IBD. The significant difference is the inflammation and the irritation. The latter is the case in Irritable Bowel Syndrome. Bacterial Infections: Major causes of bacterial manifestations are E. coli, salmonella, and Campylobacter. These bacteria are acquired from intake of contaminated food or drink. It is known that once you acquire these bacteria, you up your chances of developing the IBD at a later stage. Dysentery: If you see blood in your stool, do not be alarmed, it isn’t life-threatening. Rupture of bowel tissues causes blood in the excrement. The bacteria causing the dysentery are Salmonella and Shigella Entamoeba Histolytica. Inflammatory Bowel Disease: It causes inflammation of the digestive tract, and it is likely that you will notice secondary symptoms like rectal bleeding, pain, and fever. In some cases, weight loss is imminent. Irritable Bowel Syndrome: The symptoms are stomach pain, constipation, bloating and diarrhea. Bacterial Infections: Fluid loss from the body during the diarrhea episode is a major concern. You will feel tired and may faint. Hence, staying hydrated is paramount when you have frequent loose motion. Popularly known as Gotu Kola, Centella Asiatica is a beautiful perennial herb, which as green and fan-shaped leaves. Native to India, China, Indonesia, and Japan, this herb is used for treating various ailments. Even though Centella Asiatica is safe when consumed as directed or in minimal amounts, the Maryland University warns if you are taking this herb for over six weeks, especially if you are administering on your own without the direction of a doctor. 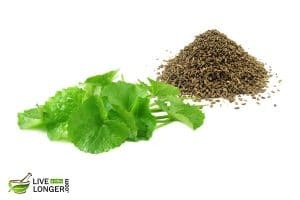 Step 1: Take one teaspoon of Centella Asiatica powder and one teaspoon of anise seeds powder. Step 2: Mix both the herbal powders in a small bowl and chew it raw. Alternate method: You can boil both the herbal powders with water for 10 minutes. Strain the mixture and drink once warm. Centella Asiatica has a set of saponins called triterpenoids, which give the herb its therapeutic effects. 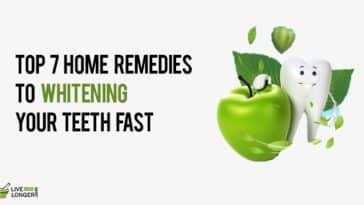 They also are fortified with natural flavonoids, sterols, flavones, lipids, and amino acids, which help in healing indigestion, stomach pain and other intestine related problems. On the other hand, anise seeds are rich in nutrients like vitamin B2, B1, C, phosphorus, calcium, sulfur, potassium, aromatic essences, and iron. They are mildly anti-parasitic. Hence, help in killing the intestinal parasites that caused diarrhea. You have cancerous lesions on your skin. You are on any other medication. You are allergic to plants like anise (fennel, dill, coriander, celery, caraway, asparagus, and cumin). You are suffering from uterine cancer, breast cancer, uterine fibroids, endometriosis, and ovarian cancer. According to Ayurveda, these two ingredients can do amazing wonders in treating diarrhea. Due to its bulking and lubricating properties, people often take psyllium for managing with diarrhea and constipation. 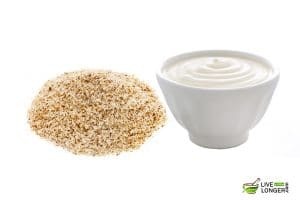 Step 1: Take one teaspoon of Psyllium husk and 1 cup of plain, fresh yogurt. Step 2: Mix them together in a small bowl. Step 3: Consume this mixture before going to bed. Psyllium is a seed that is native to Southern East Asia. The husk of this seed is fortified with viscous soluble fibers. It has 30% insoluble fibers and 70% soluble fibers. Due to its soluble fibers, it not only helps relieve diarrhea but also constipation making it one of the great home remedies for diarrhea. Also, it assists in the treatment of hemorrhoids, IBS (Irritable Bowel Syndrome) and other intestinal disorders. During those diarrhea bouts, consuming psyllium slows down the severity and frequency of the condition. Moreover, it absorbs excess liquid from the intestines and adds some bulk to your stool. Viscous soluble fibers help soak water and form a smooth gel once it is exposed to water. Now, this acts as a digestive lubricant in maintaining proper bowel movements and treating constipation. On the other hand, yogurt is rich in natural probiotics, which helps in restoring the healthy microbes in your gut. Probiotics are none other than live bacteria, which help in contributing to your overall health by restraining the development of bad bacteria in the intestines. It aids digestion and supports the immune system. Yogurt has many kinds of probiotic bacteria; however, the most common ones are bifidobacterium and lactobacillus. In the case of diarrhea, the probiotic, which is effective in the treatment, is called Lactobacillus Rhamnosus GG. Hence, look for yogurt brands that have this type. You have difficulties in swallowing. You are suffering from gastrointestinal problems. You have low blood sugar level and low blood pressure. You are suffering from a stomach upset. You are suffering from vomiting and nausea. Carrots, both cooked and raw are rich in insoluble fibers, which are extremely vital for your bowel health. Insoluble fiber assists in adding shape to the stools. In fact, they moisten the impacted and hard feces by supplying sufficient water in your gut. Step 1: Wash, scrape and finely chop half a kilogram of carrots. Step 2: Balance with sufficient water and pressure cook for 15 minutes. Step 3: Drain the liquid and add a little salt. Step 4: Drink the soup for the next few days if the diarrhea conditions persist. Carrots are rich in fiber and are known to cleanse the intestines. They are also an established as an effective diuretic, antidiarrheal, anti-anemic. They are rich in alkaline elements and assist in the maintenance of alkaline-acid balance in the body. 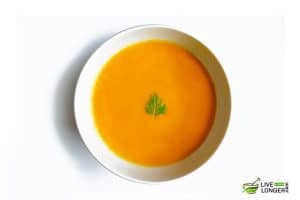 It contains beta-carotene, which is then converted to vitamin A in the liver. They also contain vitamin B6, folic acid, thiamine, potassium, and magnesium. You are diabetic. Carrots have high sugar content (glycemic index 97). The sugar can be converted into glucose, and the sugar level will increase. You are breastfeeding a baby. It can change the flavor of breast milk. The health benefits of fennel seeds are many. They help in relieving diarrhea, constipation, flatulence, indigestion, anemia, colic, menstrual, and respiratory disorders. 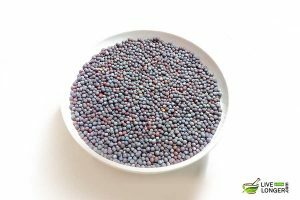 Scientifically known as Foeniculum Vulgare Miller, these tiny seeds are used in mouth fresheners, antacids, desserts, toothpaste, and other culinary applications. Native to the Mediterranean, fennel seeds have been long used for various medicinal reasons. You can see them growing in riverbanks and coastal climates. Step 1: Take ½ teaspoon of fennel powder and ½ teaspoon of ginger powder. Step 3: Chew the mixture 2 to 3 times in a day. If the cause of your diarrhea is due to a bacterial infection, then fennel seeds can be great. The reason is that they contain two vital components called cineole and anetol, which exhibit antibacterial properties. Also, its natural amino acids (histidine) assist in digestion and help the digestive system to function properly. Ginger contains two active compounds shogaol and gingerol that help in reducing inflammation and pain that come along with diarrhea. It helps in releasing gastric enzymes to heal the infection much faster. Besides this, it reduces food stagnation, detoxifies your digestive glands, protects from diarrhea germs, and boosts your digestive organs. This is one of the most popular home remedies for diarrhea. You are allergic to plants like carrots, mugwort, or celery. You are suffering from uterine cancer, breast cancer, and ovarian cancer. You are diabetic. Ginger may increase the insulin levels. You are suffering from certain heart problems. 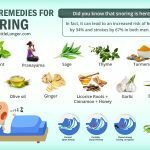 Consuming ginger in high doses can worsen the condition. 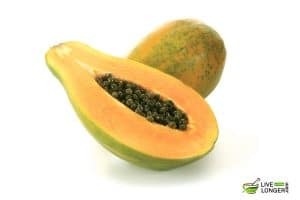 Step 1: You can grate a papaya and add the pieces to a bowl containing three cups of water. Step 2: This mixture should be boiled for ten minutes. Step 3: You can strain the mixture and consume. But first, allow it to cool. Step 4: Have the mixture two to three times a day till you get relief. The two enzymes making the mark are papain and chymopapain. Both help in the digestion of proteins in the body. The other vitamins such as beta-carotene are also good at reducing inflammation. You are pregnant. It can cause a miscarriage. You are allergic to latex. You can suffer from allergic reactions. You are on taking medications for blood thinning. You consume in excess. It can cause skin discoloration or carotenemia. 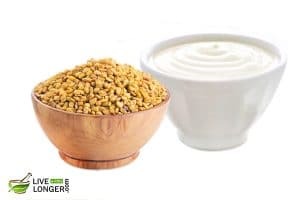 Step 1: Take one tablespoon of fenugreek seeds and a tablespoon of yogurt. Step 2: You can combine the mixture and chew them three to four times a day. The mixture is highly recommended as they have high mucilage content. They can provide an anti-diarrheal effect and yogurt can assist the healing process. You are suffering from diabetes. These seeds can lower blood sugar (hypoglycemia) if you have a similar condition. You are pregnant. The seeds can cause contractions (early). For more than 2000 years, Ginger is still being used for treating various ailments at home. These usually include indigestion, heartburn, vomiting, nausea, and diarrhea. Ginger, known for its therapeutic properties, can be used effectively for food poisoning. It can also be used for abdominal pain and cramps. Step 1: You can grate a ginger into small pieces. Add one spoon of honey to the ginger containing bowl. Step 2: Let the mixture remain for fifteen minutes. Step 3: You can consume the mixture to enhance the process of digestion. Do not drink water for forty minutes as the therapeutic properties of ginger and honey will enable the stomach to release beneficial digestive juices. Alternate Method: You can grate the ginger into small pieces. Add one cup of water. Boil the mixture for ten minutes and let it become warm. Strain the mixture and add some honey. 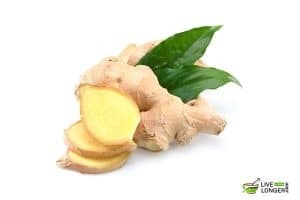 The antioxidants in ginger are shogaol, gingerol, zingerones etc. 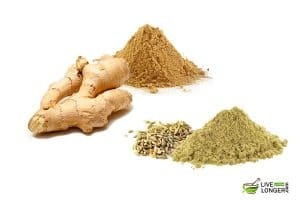 Ginger is known for its carminative properties (enhances the removal of intestinal gas) as well as intestinal spasmolytic (the substance that can soothe and relax the intestinal tract). Gingerol is known for its anti-inflammatory properties in the intestine. You are diabetic. Ginger can increase the insulin levels. Bananas are described as one of the world’s healthiest foods. They are free from cholesterol, sodium, and fat. Instead, they are fortified with a whole lot of fibers, vitamin B6, vitamin C, folate, complex carbohydrates, and potassium. Moreover, bananas are easy to digest and make sit extremely easy for your stomach. 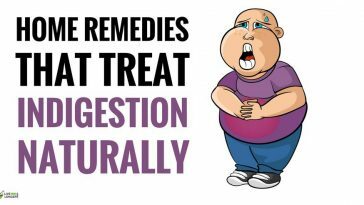 Apart from treating diarrhea, it is one of the best home remedies for acid indigestion and heartburn. Bananas are so bland and gentle that they easily pass through a weak digestive tract. The mineral, potassium, is a vital electrolyte that helps you during those diarrhea bouts. You can either mash up this fruit or consume it raw. The medicinal properties of a banana are attributed to pectin, the water-soluble fiber. This chemical compound will assist in reducing symptoms of diarrhea. 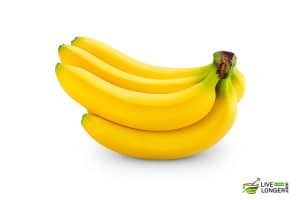 Bananas are also high in mineral content such as potassium and other electrolytes that help in times of fatigue. You can add banana as a supplement to the symptoms of diarrhea subside. You are suffering from respiratory problems. You have Type II Diabetes. You are suffering from hyperkalemia (a condition that occurs when there is excess potassium in the body). You have a cough, cold, or itchy throat. When you are dealing with diarrhea, it is better to have a bland diet. Consume liquids on the first day, and then add easily digestible foods to the diet. 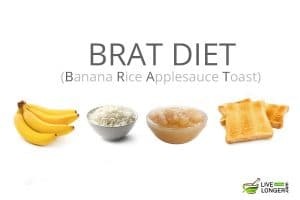 The bland diet includes BRAT – bananas, rice, applesauce, and toast. You can also include mashed potatoes without using butter and crackers. In case, the diarrhea is caused by a certain food, and you get to know it, try avoiding the specific item in the diet. Apart from treating the bouts of diarrhea, a BRAT diet also assists in the treatment of upset stomach. The simple foods of BRAT assist in bulking the stool as well provide gentle nutrition without upsetting your stomach. The rice and bread contain fibers and nutrients similar to minerals and vitamins. Pectin is found in applesauce possessing the ability to have solid stools thus reducing the symptom of diarrhea. You have vomiting sensation. Avoid using the BRAT diet. Two bowls of yogurt in a single day has been known to provide easy relief. You can even consume it with yogurt for additional benefit. Yogurt has natural properties to maintain and restore the health functions of your digestive system. 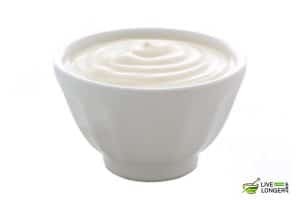 Fresh, homemade, unsweetened, and plain yogurt have good bacteria in them known as probiotics, which protects the intestines against germs. Also, the lactic acid helps in killing all the bad bacteria from your intestines. Since yogurt has more proteins than any other diarrhea-preventing foods, you can consume it without mixing it with any other ingredient. Yogurt, the rich food, which has live, good bacteria such as bifidobacterium and lactobacillus acidophilus. These cultures can help restore the good bacteria in the intestine and can successfully eliminate the bad bacteria. You have a weaker immune system, or suffering from HIV/AIDS, or if you have had an organ transplant. It can cause the diseases to progress in such cases. You are suffering from gastrointestinal infections. Step 1: Boil one teaspoon of chamomile leaves in a cup of boiling water for 15 minutes. Step 2: Strain the mixture and consume the tea. Step 3: Have the tea at least three times a day to get relief from diarrhea. 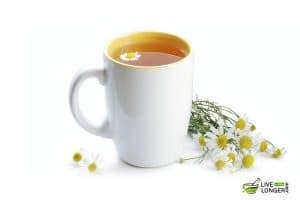 The flavonoids present in chamomile assist in digestion and anti-inflammation of parts of the body. The component is luteolin and is responsible for various conditions such as reduction of fever, aiding digestion, etc. Another flavonoid is apigenin, performs the role of sedative thereby relieving stress and anxiety. You are allergic to ragweed. 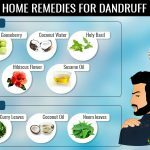 Children should not be given this home remedy unless advised by the physician. You are taking medications for blood thinning. Interactions might happen to lead to worse situations. Step 1: Add a quarter teaspoon of mustard seeds in three teaspoons of water. Step 2: Let the mixture remain constant for an hour. Step 3: Partake this water as an oral tonic. Step 4: Repeat the process four to five times a day to get rid of loose stools. Digestion is stimulated due to secretion of gastric juices from the spleen and bile from the liver. The process aids in digestion. The other benefits are, it promotes appetite. You have a very sensitive stomach, suffering from gastrointestinal ulcers, dyspepsia, irritation in the urinary tract. You should not use this remedy on children who are less than six years of age. Step 1: Sago should be soaked in water for nearly three hours. Step 2: Then, consume the juice to reduce the symptoms of diarrhea. Step 3: Continue this process for at least seven times per day. Make sufficient amount of this mixture so that it is available for at least one day. 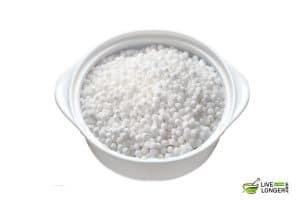 In ancient medicine, sago along with rice was given to cool the body. If you are suffering from diarrhea due to an excess of heat in the body, this is the home remedy. The sago is used as a staple diet on some continents. It gives quick energy and is easily digestible. It is low in fat and protein. You are suffering from vomiting issues. Step 1: Take few fresh Arjuna herb leaves. Step 2: Clean the leaves thoroughly with water. Step 3: Once cleaned, soak them in water for 1 to 2 hours. Step 4: Strain the liquid and consume. In Ayurveda, Arjuna is one of the prescribed herbs to treat cardiovascular health. You will be fascinated in knowing that its bark of has magnesium salts, calcium salts, glucosides, and tannins. It acts as a tonic, astringent, and stimulant. It helps cure diarrhea, dysentery, hemorrhages, skin problems, fractures, and edema. Moreover, it has antimutagenic and antibacterial properties. You are diabetic. The herb can increase the sugar levels. You must select the ideal drink that suits your diet and the condition of your stomach. The drink becomes the best supplement due to the balance of salt and sugar content. It absorbs the water sufficiently. You can improvise the method by adding the salt in apple juice. This will help absorb the water while the taste of apple juice isn’t spoiled. Also, it is better to have the fluids at room temperature rather than consuming cold. 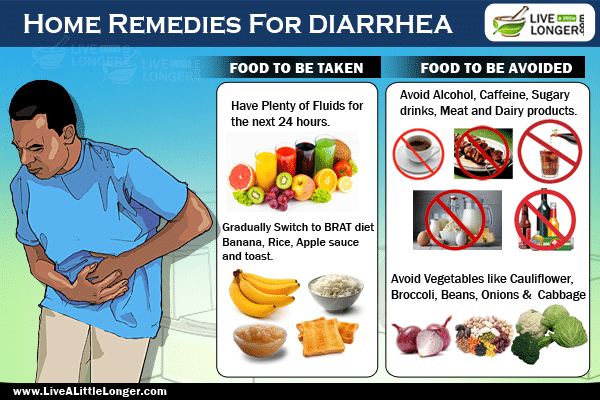 When you are having diarrhea, it is recommended to maintain a shallow diet and have clear fluids for the 24 hours. Then, gradually switch to mildly solid food like the banana, rice, toast, and applesauce, famously known as the BRAT diet. 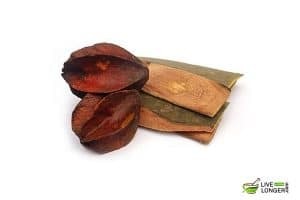 This technique can be noted as one of the best natural remedies for diarrhea both adults as well for children. 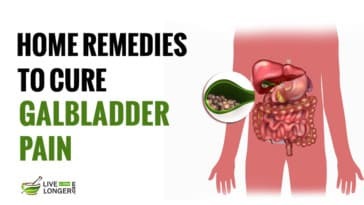 If you do not see signs of symptoms receding beyond few days, check the food that you eat, sometimes you may be oblivious to the aggravating element in your regular food that may irritate your bowel. Here is a list of fiber-rich food that may irritate your bowels – brown rice, bran, and whole grain. Also, sweet and greasy food can aggravate the stomach. If you still are unsure about the cause of your persistent diarrhea, then try the elimination technique. Suspend using the suspected food for a brief period to determine the source of the problem. If you are convinced that there is no significant change in passing motion or diet, then you can eliminate the next food that you are unsure of. Remember, eliminating the food is for brief observation and study purpose to pinpoint the cause. It is not a one-time elimination under uncertainty. If you are at home, stick to lighter foods like broth and water for keeping your stomach lighter while staying replenished at the same time. Do not have milk products. If you are lactose intolerant, then you could easily make the matters worse. During the discomfort, it is mandatory to avoid cheese, milk (but you can have yogurt) for the next two weeks even after the symptoms of diarrhea have made a retreat. The small intestine would have lost its digestive capacity for milk, and so it is best to give a little rest to the vital body part. Coffee is the last drink you will want during this period. Large amounts of sugar can enhance diarrhea. Even the sugar in fruits can make the body display similar symptoms. You can also steer clear of high-fiber foods or oily recipes. 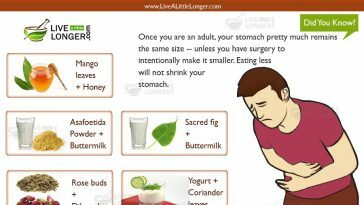 The gut will face difficulty in handling these type of foods. In fact, the tummy needs gentle foods such as rice, noodles, bananas, toast, potatoes, in the case of non-veg food (skinless white meat chicken). Almost all cases of diarrhea get cleared on its own without any treatment. This ailment may cause the body to lose a large amount of salt and water. The symptoms continue even after two days. Dehydration sets in – the symptoms could be severe thirst, fatigue, dizziness, dark color urine or no urination and dry mouth. You suffer from severe rectal or abdominal pain. You have black or bloody stools. You suffer from chills and have a temperature of 39 degree Celsius. In the case of children, if diarrhea is accompanied by fever or vomiting or both, the symptom points to dehydration. The call to the physician should be made within 24 hours at this stage. The child did not have a wet diaper for three or more hours. Display symptoms of fever (102 degrees Fahrenheit). The stools are black or blood red. The child displays symptoms of drowsiness, becomes unresponsive. In many cases, OTC (over the counter) medications are helpful in reducing the first initial stages of diarrhea such as traveler’s diarrhea (which anybody can be infected while consuming contaminated water). Some of the preferred medications are loperamide (Imodium); bismuth sub-salicylate (Pepto-Bismol, Kaopectate). But the conditions is that they cannot be used for more than two days. 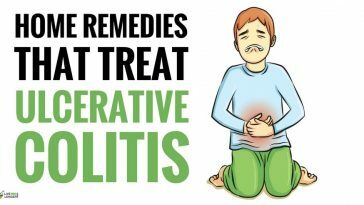 For any diarrhea, over the counter remedies will suffice to make you feel better, but the infection could sometimes remain. Usually, the symptoms will recede on its own in few days. If not, you must consult a doctor.